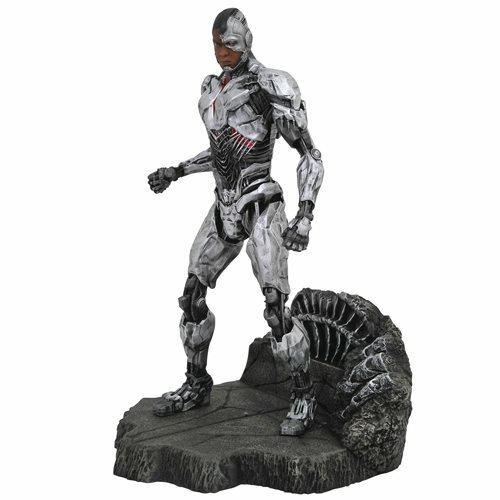 From the Justice League movie comes this Justice League Movie Cyborg Gallery Statue. Cyborg is sculpted in approximately 9-inch scale. The PVC statue features detailed sculpting and paint applications, and comes packaged in a full-color window box. Sculpted by Rocco Tartamella! Ages 14 and up.